So maybe you asked somebody what they were up to and they responded with "NMU." But what does that even mean? NMU stands for: "Not Much, You?" or "Nothing Much, You?" This acronym is actually an answer and a question all in one. Some people may or may not include a question mark at the end of it. NMU is typically used as a response when they're asked about what they're currently doing at the moment or what they've been up to lately — typically in direct conversations between two people (such as via text message or online chat). Many people choose to start a conversation by asking what the other person is up to or how they've been doing in hopes of getting the conversational ball rolling. If the person being questioned hasn't been doing anything interesting enough to talk about it, then they might use NMU to quickly get the message across that they don't have any events or life circumstances worth mentioning. The U at the end of the acronym flips the original question back on the one who asked it. After all, if nothing much is going on in a person's life, maybe the other person has something interesting life event to talk about. It's also just polite to show interest in the other person after they've shown interest in you. In the first example above, notice how Friend #1 responds with an even shorter variation of NMU — NM (without the U) to say that they have nothing much going on at the moment either. Friend #1: Going to the movies, wanna come? In the second example above, Friend #2 responds with what they're planning on doing, which actually leads the conversation somewhere. Responding to someone with NMU can make you seem like you're uninterested in having a conversation, setting the tone for the conversation right at the beginning. The reality is that you're always doing something, even if it's just sitting around or browsing Facebook. It's fine to ask someone what they're up to after they've asked you, but it's always better to give a proper answer first. The U in NMU flips the question back on the asker, yet it also puts them in a bit of an awkward position to start telling you about their life after you gave them no information about yours, potentially making them feel like they're the only one interested in having a real conversation. 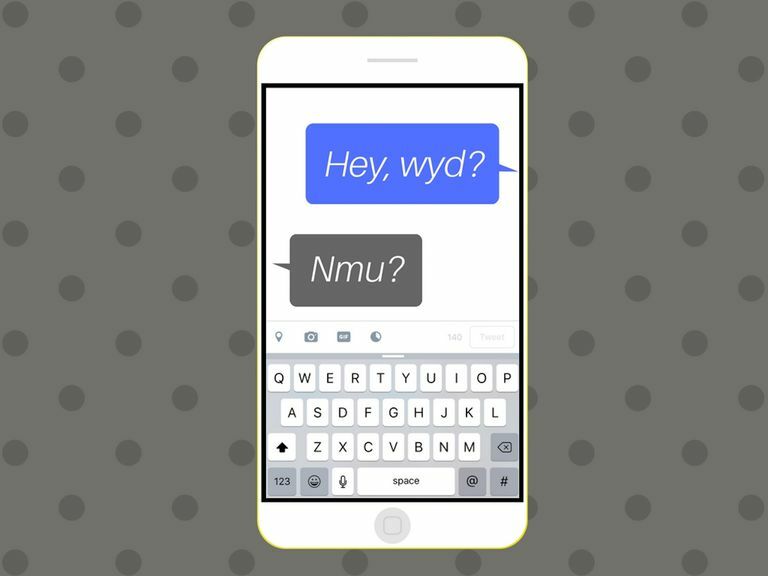 Keep the above in mind if you ever consider adding NMU to your text/online chat vocabulary. If you are genuinely interested in having a conversation, try to avoid using it. The person you're texting/chatting will appreciate a truthful answer more than a passive response like NMU that only serves to take the attention off of you.